BART is out with its schedule for New Year's Eve. Trains will run until 3 a.m. New Year's Day, but where you can catch them will vary. San Francisco holds its annual fireworks show New Year's Eve night and BART will have extra trains on standby to handle the crowds. Destinations around the Bay Area where you can enjoy winter holiday festivities and activities with your family! Check out the local sights and sounds of the holiday season with this list of events and interactive map. The Pittsburg/Bay Point and Richmond lines will not stop at the Embarcadero Station. The Montgomery Street station will be the stop nearest to the fireworks show. The Dublin/Pleasanton and Fremont lines will stop at Embarcadero Station but not at Montgomery Street. 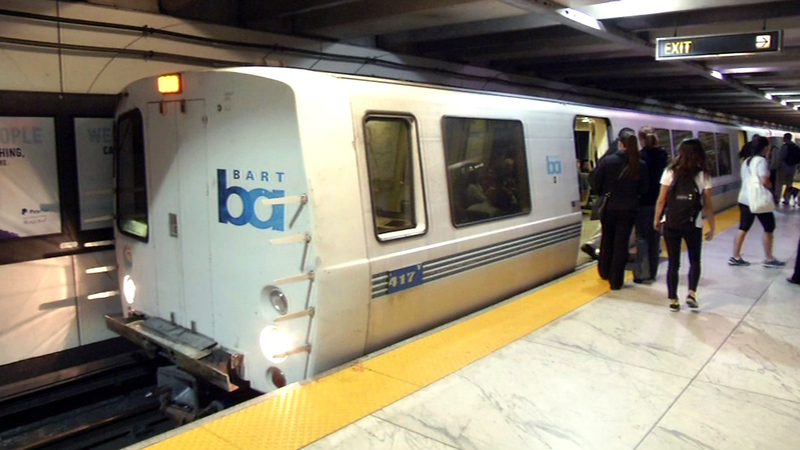 The Millbrae and Daly City lines will make all stops in San Francisco. After the fireworks end, passengers bound for: Pittsburg/Bay Point and Richmond must use the Montgomery Street Station. Dublin/Pleasanton and Fremont lines must use Embarcadero Station. Dublin/Pleasanton and Fremont trains will not stop at West Oakland and will make their first East Bay stop at Lake Merritt. Daly City and Millbrae passengers should use Montgomery Street Station, which will be less crowded.